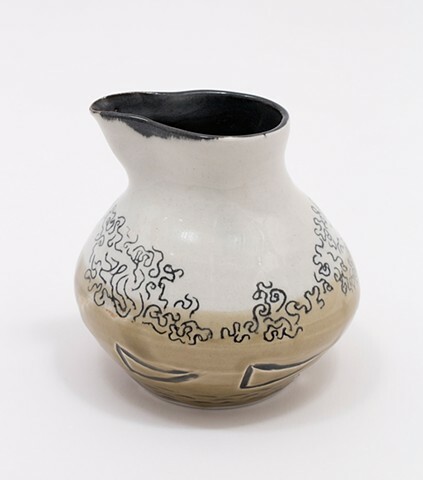 Luminous, ephemeral – Continuing the investigation of line work and narrative, this clay vessel features whimsical engravings of clouds, ships and water. I intentionally constructed this piece without a handle to convey the transient quality of a perfect summer day. The feeling is light, airy, and hopeful.